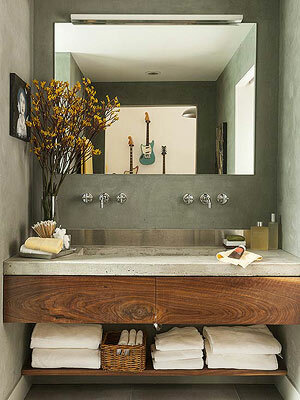 Some home owners don’t give much importance to their bathroom space and many of them lack a style or character. 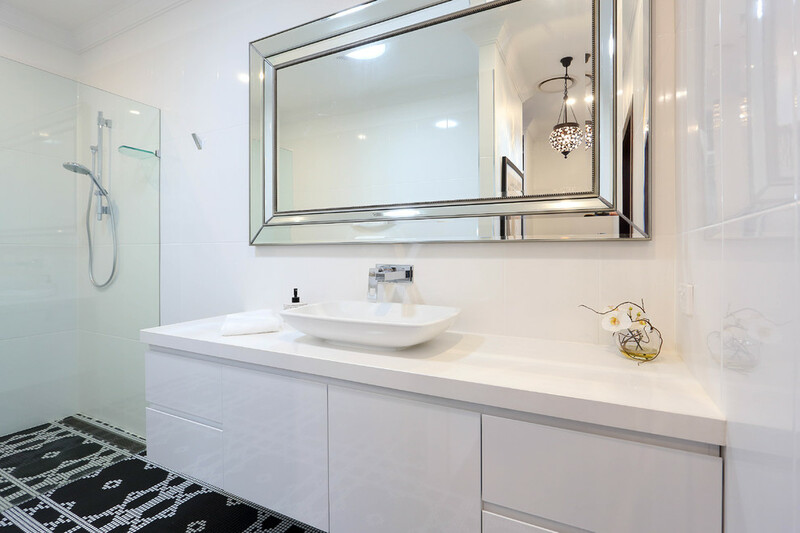 It’s a fact that none of us spend too much time in our bathrooms and use it for practical purpose, this reason makes home owners overlook their bathroom space making it look extremely monotonous. 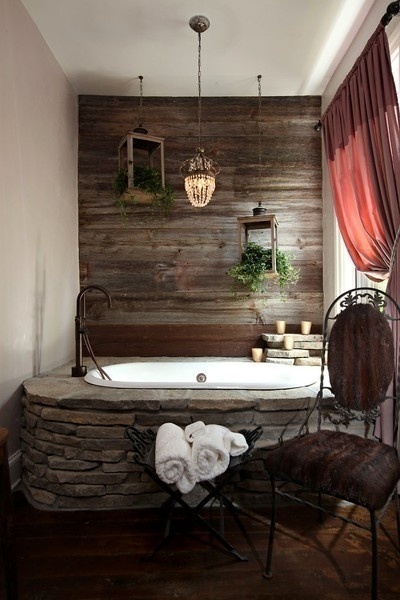 Few quick easy additions to your bathroom can add elegance and serenity. Wood Wall: You don’t have to buy a wooden wall attachment if that does not meet your budget, instead opt for a wooden wall paper with realistic appeal. The wood can give a refreshing farmhouse style appearance and warm texture effect. Flooring: Use faux wood flooring, this is easy to install on the floor also give a classy facade in no time. It does not matter which space you are remodeling if you focus a little more on your floor then you can achieve an overall enhanced look. Fixtures: Old washed out fixture can make your washroom look outdated and old. Change your old fixtures or use all metal shine polish. Resurface your bath tub if it’s too dull and check if the bonding material used for your tiles or flooring is wearing out, a reapplication of bonding material can give your bathroom a fresh look. Tower rails come in many shapes and sizes, choose a chic tower rail this time. New Bathroom lighting: Use multiple layers of lighting to create a dream like appeal, add a small sparkly chandelier, glam up your bathroom by creatively using lights. Mirror: Update your old mirrors frame; choose a dramatic frame to kill boredom. Position your mirror closer to your lights in order to reflect more light. Vanity: Opt for a functional vanity unit which does not eat away your precious bathroom space instead allows you to save space by storing all bath essentials. Shower curtain: add some wow looking curtain which matches with your color palette or choose wisely a contrasting color. Position your curtain rod from the ceiling; this will help you achieve an impressive look, placing your curtain as given on the left picture gives untidy appearance which you don’t want. The above mentioned points can be made use of even your bathroom space is small, less is more! It’s all about how functional and charming a space is.